Just a quick email to say what a fantastic product the walkstool is. I am 6ft tall and a very keep photographer. I am also a active double below knee amputee and being able able to carry this stool on my shoulder has greatly reduced my need to use my wheelchair as often as I used to :-) Fantastic. Wish I had known about this product previously. Found it purely by coincidence while browsing on the website of WEX Photographic. Review of Walkstool on the sensorgrafie website (German language). Test of Walkstool by Koos Barnard for manMagnum. 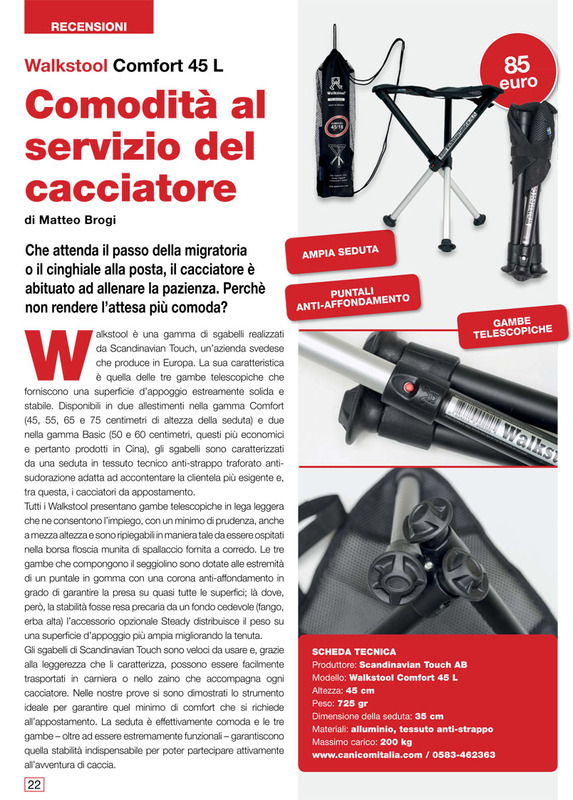 Italian review of Walkstool Comfort 45 L in "Il Cacciatore Moderno", an Italian hunting magazine. Review of Walkstool Comfort 45/18 by "Shoots and Takes"
Swedish review of Walkstool Comfort 55/22, by "I Love Outdoor". Review of Walkstool by Tyler at the "Going slowly" blog. B&H webshop. 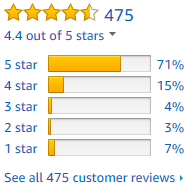 Select model and click "Customer reviews".